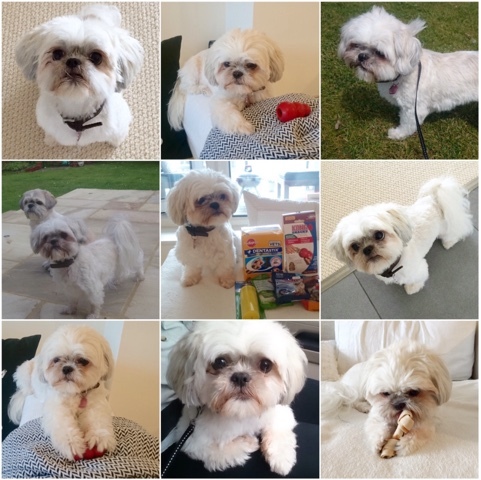 I have been wanting to do one of these series posts on my dog Tula for a while now but I just never got round to doing it. For those who follow my Instagram would have seen the odd pictures of her popping up every so often and she of course has her own Instagram account under TulaTula2009. Favourite Toys: Kong / Space Hopper / Kong Tennis Ball all make very annoying squeaky noises. All the other toys we get her she will usually get bored after a few days but she's been playing with these for ages and she never gets bored and quite often we need to replace the Space Hopper / Kong Tennis Ball when they get a bit worn out. Hobbies: Absolutely loves meeting / greeting new people which can make it a bit of a pain when I just want to walk her quickly and head back home especially in the winter months. Loves being let loose on the field to explore. Annoying Habits: She likes to think she's a big dog, if neighbours come back drunk early hours of the morning at the weekend she will bark like mad and wake everyone up. You could say it's a good thing in that she's a guard dog since the person on the outside won't know what size she is! haha Her recall is poor so we can only let her off the lead in certain places in other words she is unpredictable. The reason it's poor its because you cannot bribe her with treats, we struggle to train her if she's not tempted by treats and most of the time it depends on her mood. 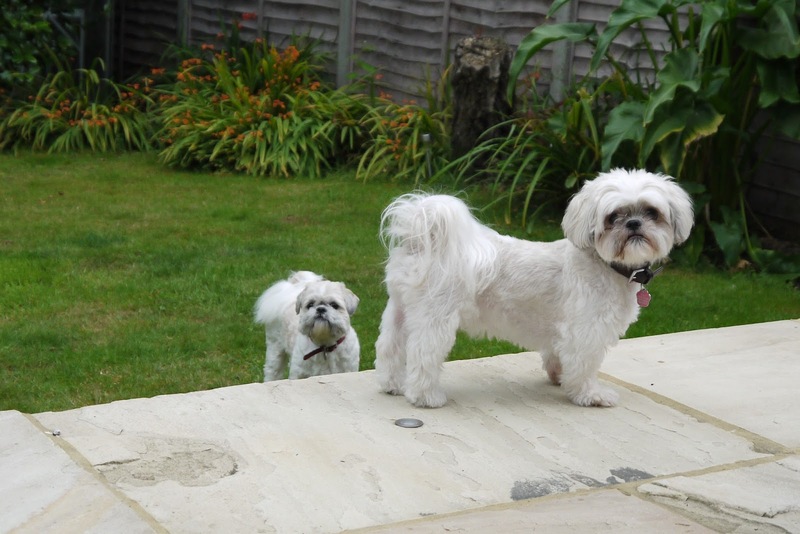 Shih Tzu's need to be groomed once every 2-3 months depending on how short you get them cut each time. They are very loyal dogs but they have a mind of their own and they can be stubborn which makes training difficult becuase they are also very smart! Shih Tzu's have clever senses they know when you are happy / sad and she's very fair in that she gives me and hubby both equal attention so there is none of the who she likes bests! If you have been reading my recent posts you will know I am expecting and one of the main preparations is to ensure we introduce our baby to Tula in the correct way so that she accepts the baby and continue as normal. 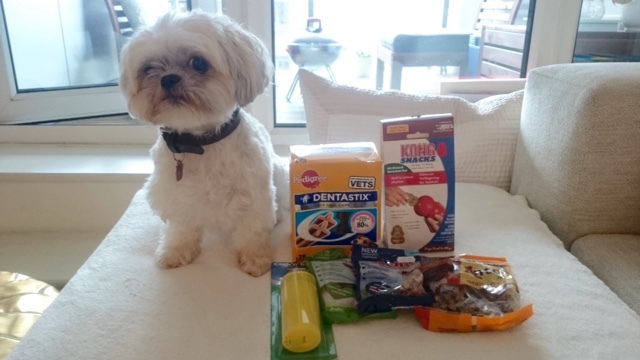 In preparation for this *Feedem one of UK's leading online suppliers for pet food, goods & accessories have kindly offered Tula some training treats. I was able to pick my own which was a bonus along with picking out some new bits for her to try to help with the training. We use to go to our local big pet store for picking up bits for her but over the years we find that they don't change their stock often so it's always the same old and it does get boring. Over the last 1.5 years we made a switch to online shopping instead where there is a little more options to pick from and purely for convenience not having to pop out over the weekend or after work in the evening, one less errand for me to do. 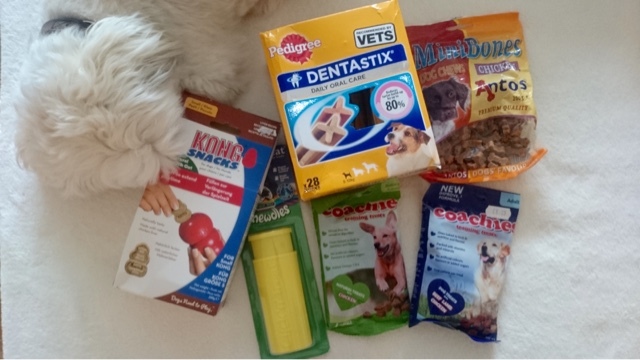 Feedem offer a HUGE variety of options for all pets at very low low prices and I was particularly surprised by the amount of options available in the dog section, a lot of which we haven't seen before. Given that we were focusing on her training we picked up a few packs of Coachies designed for training along with a Click A Treat. For treats we picked up a refill pack for her Kong one of those things where you squeeze a treat inside the round plastic thing and she needs to get it out...all for keeping her entertained. 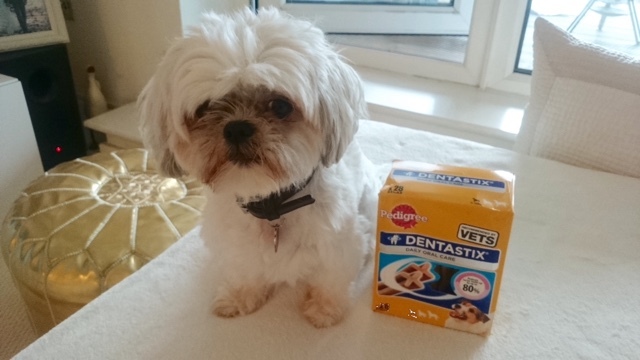 Lastly a box of her standard Pedigree Dentastix in helping keep her teeth clean. If any of you have a dog do you have any training tips you can share with me? Have you taken your dog to any training classes are they worth going to bearing in mind she is now 6 or does age not matter? I would love to hear from you so leave me a comment in the comment box! Ahhh I love dog posts! She is just the most adorable thing, great advice too! I AM IN LOVE, So cuttttEEEeee!! Aww thanks! She's too cute but stubborn! Awww Tula is so cute! Hope she enjoys all her treats. Lexi what a cute name!